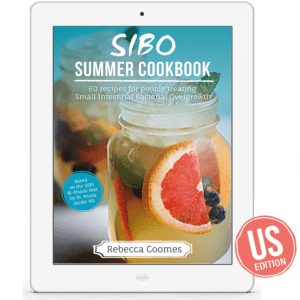 Based on the SIBO Bi-Phasic Diet protocol by Dr. Nirala Jacobi, the SIBO Cookbooks by Rebecca Coomes are perfect for anyone with Small Intestinal Bacterial Overgrowth. 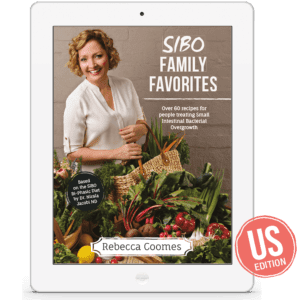 The recipes are 100% gluten-free and include recipes for breakfast, lunch, dinner, sides, desserts, snacks, drinks and more. They are free from corn and soy, and have dairy-free, grain-free, sugar-free and low FODMAP options included. 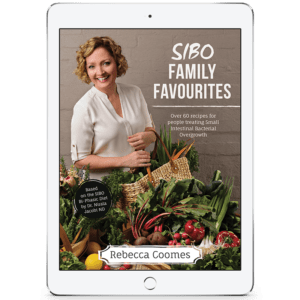 The SIBO Cookbooks are available in Australian and US editions. The AU editions contain metric measurements, centigrade temperatures, ingredient names and are written in UK English. The US editions contain imperial measurements, Fahrenheit temperatures, US ingredient names and are written in US English. 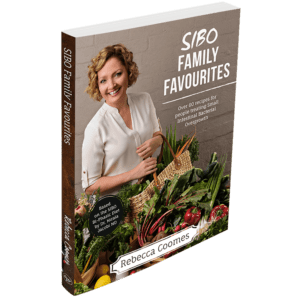 Enjoy much-loved family favourite recipes that have been made SIBO-friendly. 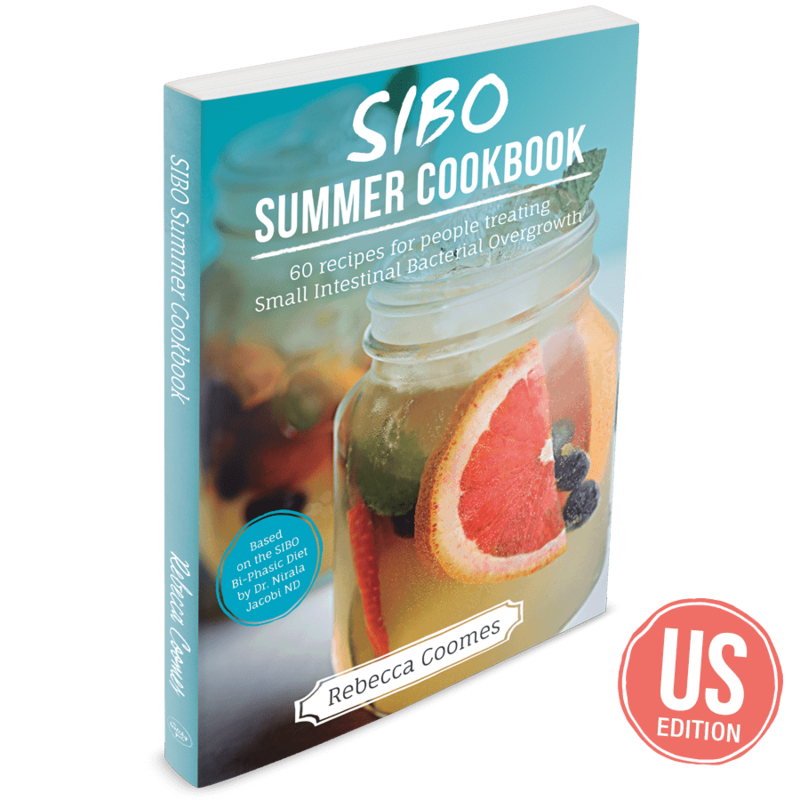 Delicious SIBO-friendly recipes that are perfect for the warmer summer months. Don’t feel deprived this Christmas! 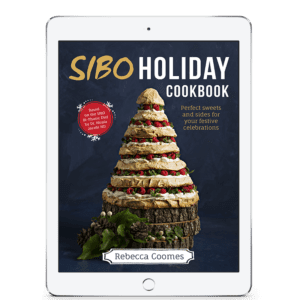 The SIBO Christmas Cookbook is bursting with SIBO-friendly appetisers, sides, desserts and sweet treats. 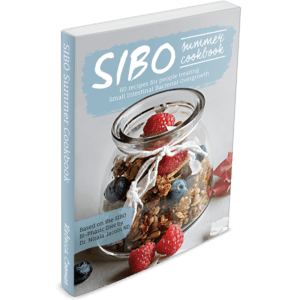 All recipes are based on the SIBO Bi-Phasic Diet by Dr. Nirala Jacobi ND and clearly list what phase they are suitable for. 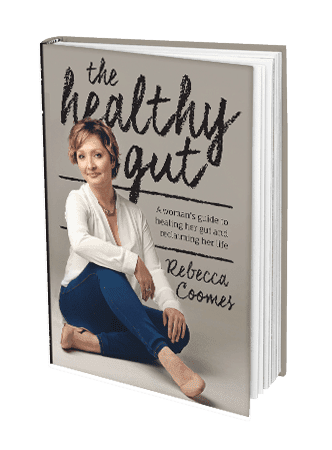 The Healthy Gut book follows Rebecca’s journey and provides practical tips on how you can change your health, mindset and movement today. It is full of resources to support you on your journey to health. Rebecca now wants to share her success with others, showing them how they too can take back control of their lives. 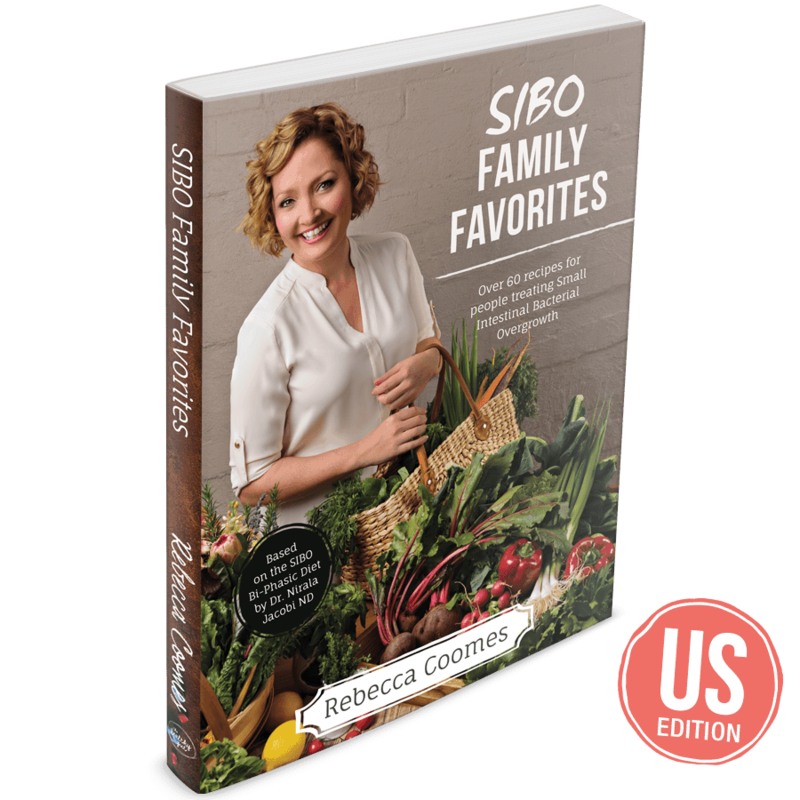 I have your 2 cookbooks and the Christmas e-book. I find all the recipes very flavoursome. Please let me know when you release any new cook books. 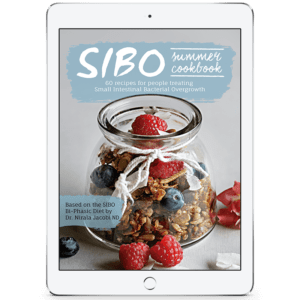 I was diagnosed with SIBO earlier this year. My doctor gave me a pamphlet outlining dietary requirements and an advert for your book. I bought it off your website and found it to be very informative and helpful. Unfortunately, I have had a recurrence and have been advised by my doctor to repeat the treatment regime. I now realise I need to persevere for a long period of time. Your books have provided the support I have needed in understand this condition and to make changes to my eating habits as well as important lifestyle changes. Thanks for your message. I’ve checked my system and your order wasn’t successfully completed, which is why you haven’t seen anything come off your card. Would you be able to try again? You can call me on 0416922191 if you need any assistance in placing your order.